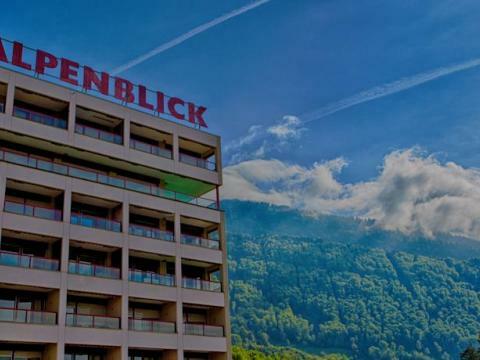 The 3 star Alpenblick features a special setting that combines exclusivity and proximity to the most interesting places of interest of Weggis and it’s excellent shopping places. People will enjoy the most terrific activity-packed holiday thanks to tennis court, playground and cycling. 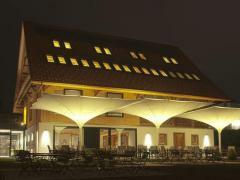 Encounter with the historical heritage of Weggis by staying at Alpenblick well placed not far from eminent historical monuments. Living area in most rooms featuring desk would help guests to spend their days productively. You are welcome to take advantage of the baggage storage, express check-in/check-out, meeting/banquet facilities and tour desk and turn your attention to the plans that are truly important to you on this holiday. Enjoy your stay in Alpenblick by getting informed about elevator offered to guests. 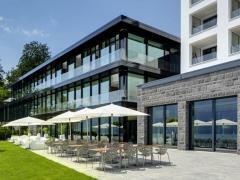 You would absolutely enjoy Alpenblick's food and drink amenities such as restaurant. Stylishly decorated rooms offer en-suite bathroom, tv and wi-fi connection. Several recreational options are featured onsite – boats to rent, but you will need to make sure there is an opening in their schedule in advance. If you are coming with kids don’t neglect the opportunity to give them a fantastic day at the Weggis Natur- und Tierpark Goldau. The hotel's employees speak commonly used languages, such as german, french and english. Guests may use visa to perform your payments. Why should you book Alpenblick? Extra Beds All children are welcome. One child from 0 to 3 years is charged CHF 5 per person per night in a crib. 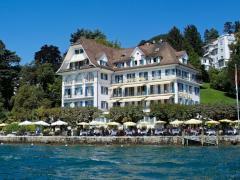 One child from 4 to 10 years is charged CHF 35 per person per night in an extra bed. 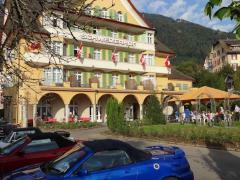 One older child or adult is charged CHF 50 per person per night in an extra bed. The maximum number of extra beds/cribs in a room is 1. Additional fees are not calculated automatically in the total cost and will have to be paid for separately during your stay.